Located on the southern most part of the pacific in Costa Rica is the Osa Pensinula. 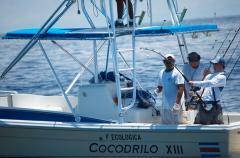 It offers pristine secluded beaches, warm waters, excellent resorts and some of the best sport fishing in the world. With plentiful numbers of sailfish and marlin, the abundance of billfish has made this area a famous and favored spot by world-class anglers. It is no surprise it has become a top destination vacation for sport fishermen. 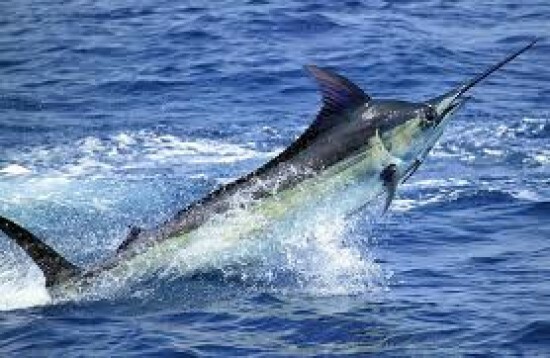 Among the most prized sea creatures found in these waters is the legendary Blue Marlin, the largest of all the billfish and weighing nearly a ton when full grown. It is little wonder why Ernest Hemingway chose a Marlin to battle his protagonist in The Old Man and the Sea. With a world time record weight of 1560lbs, these quick and aggressive legendary fish are considered to be the pinnacle of offshore game fishing. Preferring the deep blue waters of the open ocean, the Blue Marlin spends most of their lives far out at sea, following the warm ocean currents. 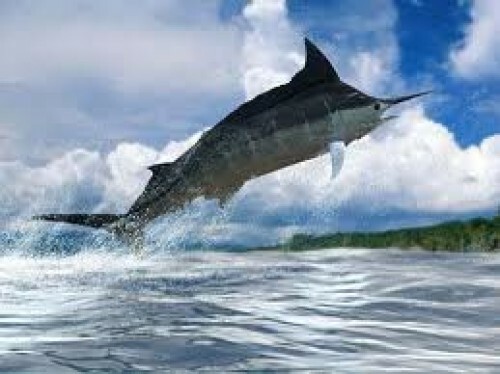 The Black Marlin is more solidly built than other Marlins with a relatively short bill and a lower, rounded dorsal fin. 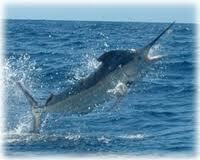 The less common Striped Marlin remains a prized catch in these waters even though it is considerably smaller. During a fight, the Striped Marlin is known to “light up” in brilliant lavender purple with a color and intensity that outstrips that of other billfish. The cobalt blue waters off the Pacific Coast of Costa Rica are packed with these legendary seacreatures. In these waters, Blue Marlin peak in April and November. Once a Marlin is hooked you are in for the fight of your life with some of these big game fishes exceeding 500lbs and any Marlin over 300lbs is almost always a female. But for the angler, the rush of catching one of these great creatures is the prize of a lifetime. Local Captains familiar with the waters and migration patterns will take you out into the deep waters for a fishing expedition that promises to be a once in a lifetime memorable adventure. The large number of expert Captains with boats and yachts equipped with the latest technological and fishing equipment makes the Pacific region attractive to sport fishermen from all over the world. 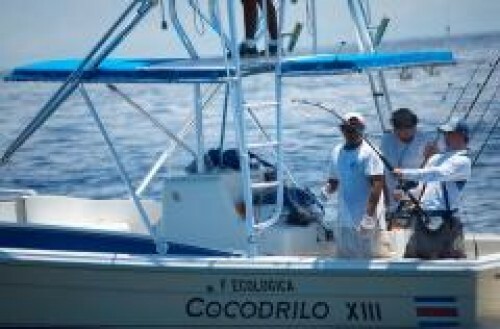 And Costa Rica was also one of the first countries to implement a sustainable fishing program making catch and release the standard operating procedure on all the boats. Of course, you will have no trouble finding a great place to stay. Many of the world-class beach hotels and resorts cater to fishermen and support eco-tourism including the top notch Crocodile Bay Resort, which is known to be one of the favored spots among anglers. So to catch a marlin head to the Osa Peninsula and don’t forget the sunscreen.